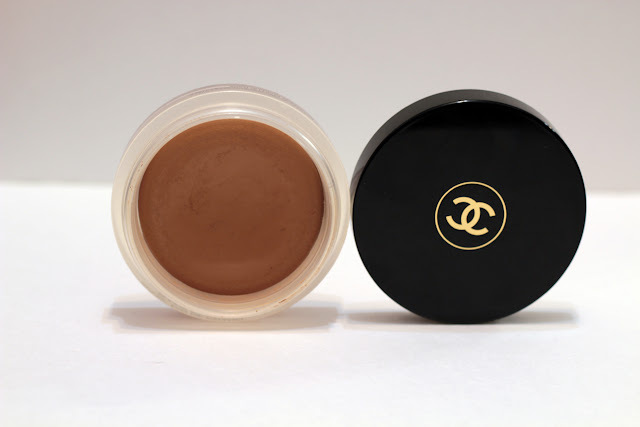 Today's giveaway is my favourite sheer cream bronzer for the face: the Chanel Bronze Universal. The texture of this product is unlike typical bronzers, as it has a balm-like consistency. It applies smoothly and blends like a dream. I typically use a MAC 109 or a Real Techniques Expert Face brush to buff the product into my skin. If you're fair, it's best to apply sparingly because this product does lean a noticeable orange. Medium skin tones can get away with a little more. Nonetheless, the beautiful satin finish is great for contouring and adding that sunkissed glow. If you'd like to win one, just enter below. 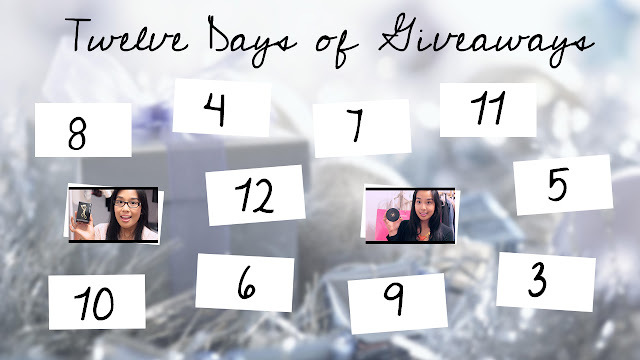 All you need to know is that this giveaway is open worldwide and it will end on December 5th, 2012 at 12:00 AM EST. The winner will be contacted via email. Plus, I will announce the winner here and on facebook / twitter. I haven't used this product yet, but it sounds amazing! i've heard such great things about this product! NYX bronzer ^.^ I guess winning this chanel one would be an upgrade!! My favourite bronzer is MAC! Personally, i havent used much bronzer before because i dont know what would be great for me. But i would figure that this would be a good step to using bronzer :) heard a lot of great things for this product! i mix it up between tarte's bronzer, and nars laguna. My favourite blush is NARS Laguna as well :)! I love using a taupe blush as bronzer. My favorite bronzer would be Physician's Formula Talc-Free Mineral Bronzer. I'm currently using the honey bronze by the body shop, nice, easy matte bronzer for everyday! I have a stila bronzer, but I don't particularly like it, it's a little too orange. My favourite bronzer would have to be NYC's Sunny. 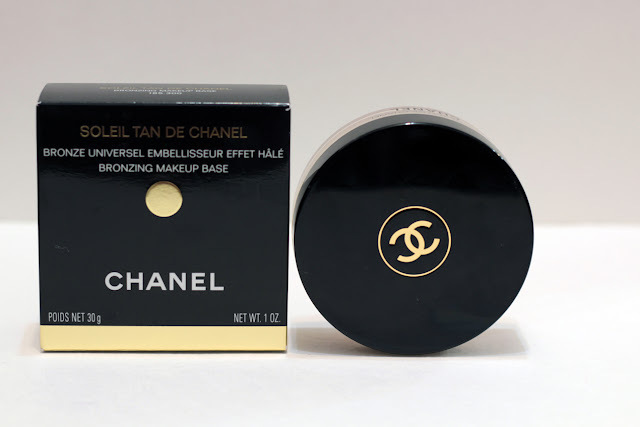 It is the perfect matte bronzer for pale skin tones, and I absolutely love it. i'm very pale in the winter so i love to bronze up my face! I'd love to try this out- I'm very pale and am always worried about getting the orange look. My favourite is Nars Laguna....but I haven't actually used any other bronzer so this is a bit of a cop out. At the moment I use a MAC bronzer but I rarely use it because it tends to break me out. My favourite is NYC in Sunny! I've always wanted to try this, it looks beautiful! I've never actually tried a bronzer so do not have a favourite but am looking to try one!! ••••••••••••••••••••••••••••••••••••••••••• My fave bronzer is NYC's "Sunny". My favourite bronzer is the Physician's Formula Pyramid bronzer. Used it for years and I still love it! i love estee lauder liquid bronzer!! My NYX bronzer which name I forget and Hoola by Benefit! Also Park Ave Princess by Tarte! My favourite is Too Faced Milk Chocolate bronzer! Too Faced chocolate solei. Works great and smell amazing! Currently using a matte eyeshadow as a bronzer.. I think its time to upgrade. I love both Nars bronzers and the cargo water resistant bronzer! I don't have a favorite bronzer, but I'm currently Baked Pyramid by Physician's Formula. This looks beautiful! Unfortunately, I'm still looking for a bronzer that works for me. I don't have a favourite bronzer, though I'd love to find one! Maybe this could be it. Right now I just have a pale one from Physician's Formula, which is ok. I actually don't use bronzer but I've been meaning to try one for a while! I use either Nars Laguna or Benefit's Hoola. I've been curious about Chanel though! I have never used bronzer, but I would love to try it! I have wanted to try this bronzer. Chanel products are always gorgeous. I want to start using bronzer now:) The bronzer that looks pretty good to me is the NYC Sunny Bronzer. My favorite bronzer right now is from Bobbi Brown! i love terracota by guerlain! I've actually discovered bronzer! Lolz! My mom bought me a kit from It Cosmetics and it came with a beautiful matte bronzer! MAC's golden is my favourite! My favorite bronzer is nars casino. my favourite bronzer is the bourjous chocolate one! idk the actual name of it, just the one that looks like a chocolate bar! I would love t try a Chanel product. Thanks for the giveaway! My favorite Bronzer is Rimmel Natural Bronzer. Thanks for the giveaway! Heard so much about this and would love to try! Currently is the too faced chocolate soleil! I use clinique's true bronzed pressed powder! I love the Hoola bronzer! I still haven't found my favourite bronzer, but I've been using Max Factor's one for a ages, and i like it. I don't use a bronzer I am way too fair and always thought it looked dark on me, though I'd love to give this one a try! Because im very pale i, use a mac sheertone blush as a bronzer, but id really like to try a cream one (: thanks! I only have Nars Laguna. I have been loving the nyc sunny bronzer! My favoutite is the Mac one! I really like NARS Laguna bronzer. But I also really like the one from Lancome! I've never tried this product hopefully I can now. Have heard a lot about this product but have never tried it! My favourite bronzer is NYC Sunny.